Under the hood: Morningstar SunSaver MPPT. 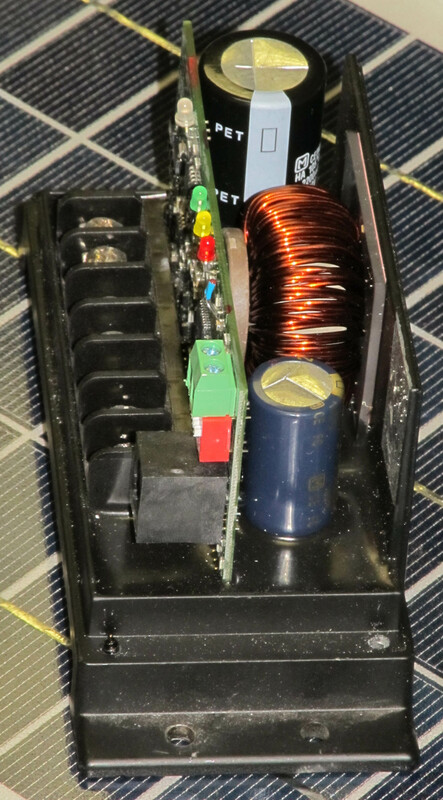 This is the Morningstar Sunsaver MPPT charge controller, capable of pumping 15 amps into a 12 or 24 volt battery system from an up to 75V input. It’s fairly simple, though the 6P6C jack can be used for Morningstar’s Modbus system or Remote Meter to add more control, programming, and monitoring capabilities. The unit is driven by a Microchip PIC18??? * microcontroller. 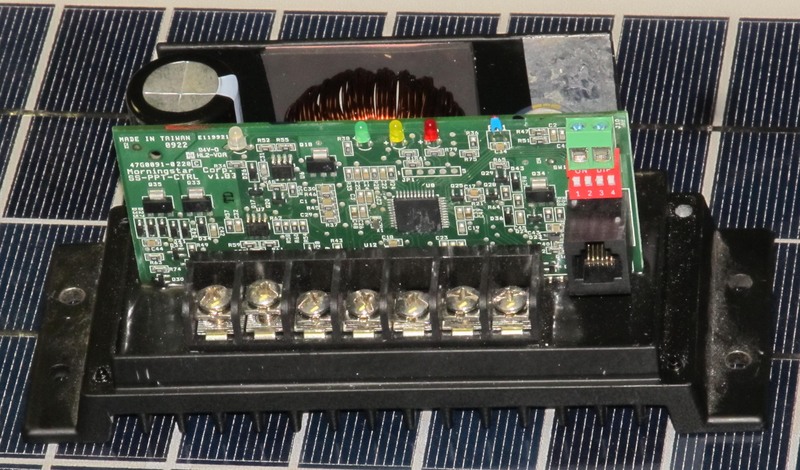 A typical MPPT controller consists of a switching buck or buck-boost converter with the input connected to the solar panel array, and the output connected to the battery system. 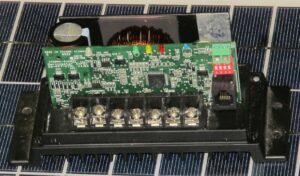 A microcontroller monitors the solar array voltage and current (and multiplies them to calculate the power) periodically, and adjusts the switching of the converter appropriately to keep the input side voltage at the solar array’s maximum power point, Vmp. No fans or other active cooling are needed. The inductor is thermally coupled to the back of the housing, which is a tall metal fin attached to the heatsink/base. The switching transistors are, undoubtedly, potted somewhere in there. 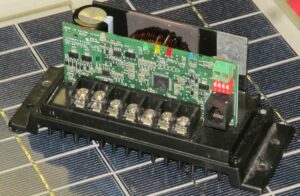 The potted construction is also used on the SunSaver PWM controllers. Simple, elegant, but here’s the big question: WHY does it cost $250?! Rest assured, I’m scouring the market for some *good* low cost MPPT controllers. This is just a very good and not quite as low cost controller! So Did You find the *good* low cost MPPT controller? So far the nicest I’ve come across is Genasun. They’re pretty awesome actually.